Ponds are important parts of our lives. Did you know that more than 1,000 species of animals live in ponds? They provide a unique biodiversity resource and support over two thirds of all our freshwater species in some way or another. Ponds are generally either natural or man made bodies that hold water for at least 4 months of the year. Whilst ponds may be man made, they have been around for millions of years, time enough for plants and animals to become very well adapted to them. They often support more invertebrate species than rivers, and some of our rarest species. Who is the pond for? What is the pond for? Once you have constructed your pond, stocked it with appropriate plants and wildlife is appearing everyday, you want to be able to keep it that way. 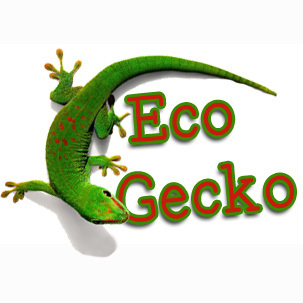 The simplest solution with wildlife ponds is to do little and often. In most cases only an occasional quick tidy up of the plants will be required as the pond will establish a natural equilibrium. Ponds are a fascinating habitat, containing a large number of different plants and animals. The invertebrates found vary from large airborne insects like dragonflies, down to small slimy flatworms and their comparatively alien nature makes them a source of fascination for children. With many ponds about, there is ample opportunity to get out there and find out what’s lurking beneath the water. However, before you head out, here’s some tips to pond dipping. 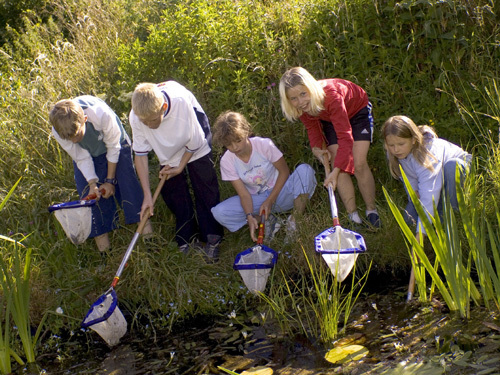 Clothing and footwear – Pond dipping can be messy, so make sure you are suitably attired for the task and the weather. Wear old clothes and sensible shoes, be they trainers or wellies – especially if the edge of the pond is muddy. Make sure you have sun hats and cream if it’s sunny, and waterproofs if it is wet. Containers: You can buy specialist trays for looking at what you catch, but a washing up bowl or old ice cream container will suffice. Light colours are preferable (white is perfect) for ease of spotting mini beasts. Ideally you should have these in two sizes, a large one for the initial catch, and a smaller one for things you want to look at more carefully.